PetSmart is offering a FREE Photo with the Easter Bunny Sat & Sun April 13th-14th from 12PM – 4PM! Call ahead to confirm your location is participating. 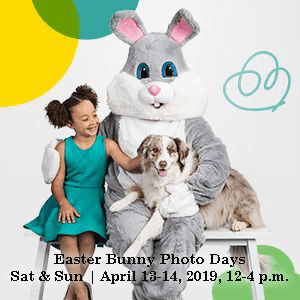 Hop to it & bring in the whole family for a FREE photo with the Easter Bunny! Plus, share your family photo fun using #petsmartparties! Photo opportunities include free digital photo file via email or photos can be taken on personal device.